The North Korean issue has never attracted so much attention – since the end of the Korean War, at least – especially in Washington, D.C. The Trump administration sees the North Korea nuclear program as one of the most important items on its foreign policy agenda. So it was interesting to be in Washington, and this piece will present some general impressions of my recent trip to D.C. – without naming names, of course. During my frequent trips to the U.S. capital, I have normally come back with a measure of understanding of the current trends. However, having spent two weeks in Washington in October, I am pretty much perplexed about what I have seen. A cacophony of sounds is emerging from Washington: sometimes two people who are knowledgeable and well informed will provide you with two very different and mutually exclusive pictures of the situation within the space of few hours. Nonetheless, if one tries to make sense of what is seemingly said and discussed inside the Beltway, one thing is clear: the majority of decision-makers are concerned about the current situation. 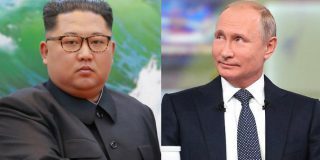 Indeed, it is widely understood that successful thermonuclear and, especially, intercontinental ballistic missile (ICBM) tests by North Korea have significantly changed the strategic calculus in Northeast Asia, and, perhaps, the world. The DPRK is fast emerging as the third country in the world capable of hitting any major American city with a nuclear-armed missile. The majority of U.S. decision makers are, nonetheless, opposed to a military solution to the problem. It is widely, if not universally, believed that military confrontation on the Korean peninsula will escalate into a large-scale land war of a scale the United States has not experienced since Vietnam, if not longer. There is even a remote, but real, possibility of such a war leading to a nuclear confrontation. This basic fact seems to be widely understood, despite obligatory hints at the possibility of a military solution. However, there are many questions which remain unanswered. The first question is what can be done now, when a military solution is perceived as impossible (at least by a majority, but as we will see, not by all)? The major hope in Washington is, of course, in the success of new sanctions. Indeed, it appears likely that a secondary bill is going to pass Congress in the near future. The efficiency of sanctions remains highly questionable, however, as even hard-liners privately admit. There are also hopes for a diplomatic solution. 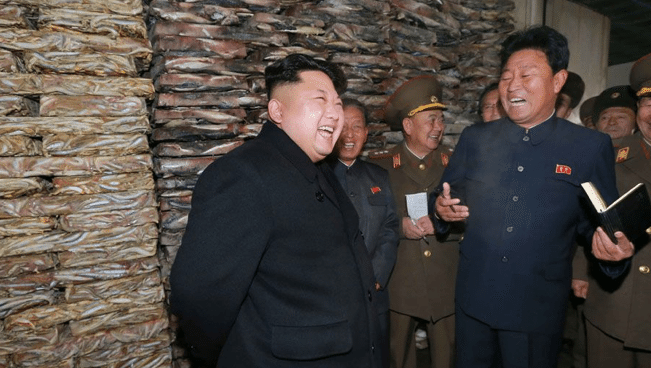 Washington decision-makers have finally come to realize that the North Koreans will not have any interest in compromise until they have deployed a significant ICBM (and perhaps also submarine-based SLBM) force. Only then will negotiations of a possible freeze become possible. It is also widely understood that, this time, the price tag is going to be unusually high. 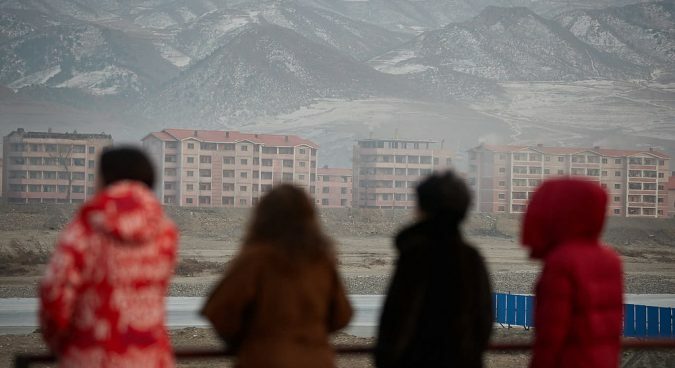 It doesn’t help that the North Korean economy has improved significantly – another fact which, while virtually unknown to non-professionals, is widely understood by experts. This ongoing economic revival means that Pyongyang is much less interested in monetary rewards in exchange for compromise, and is now likely to demand considerable concessions of a military and political nature, not money, as a reward for its willingness to halt the further advancement of the nuclear program. There are also disagreements about what exactly should be understood as a freeze. Some people believe that a freeze would be meaningless without the right to conduct inspections and the monitoring of a large number of suspected nuclear sites. Others, however, see such an idea as unrealistic and are quite happy with a partial freeze, which would include only a moratorium on nuclear tests and missile launches – an easily verifiable option. However, the freeze idea, while discussed much more frequently than, say, a year ago, is not universally supported. It appears that the Department of Defense is especially skeptical about it. 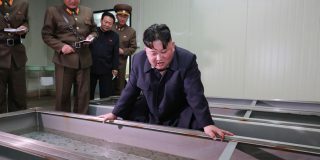 It is often argued that the North Koreans will almost definitely cheat and that a freeze will be used by Pyongyang as a possible way to drive a wedge between South Korea and the United States, as well as a way to squeeze additional funds necessary for further advancement of the nuclear and missile program from the international community. Those who don’t share this view argue that a freeze, even if eventually unsuccessful, will bring a few years’ delay in nuclear and missile development and therefore should be welcomed, even if the North Korean side will cheat (and cheating is almost universally expected). However, there are two major unknowns which are widely discussed in Washington and make any predictions for the near future extremely difficult. First, there are deep suspicions about the long-term goals of Kim Jong Un. Some people believe (and this seems to be a majority view) that his goals are essentially defensive in nature. According to this point of view, Kim has developed his nuclear and missile force, above all, to deter against a possible Libya-style or Iraq-style American attack. This goal is tacitly accepted as rational and, if this is indeed the case, a nuclear freeze or some other kind of compromise might be possible. On the other hand, there is a growing view in Washington DC that the North Korean government’s ambitions are more far-reaching than the above-mentioned deterrence model implies. 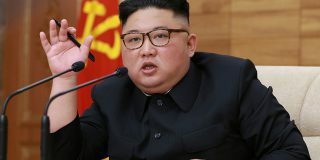 Many people believe that Kim Jong Un is committed to the idea of forced unification of Korea and that he wants to finish the business that his grandfather couldn’t successfully complete in 1950. 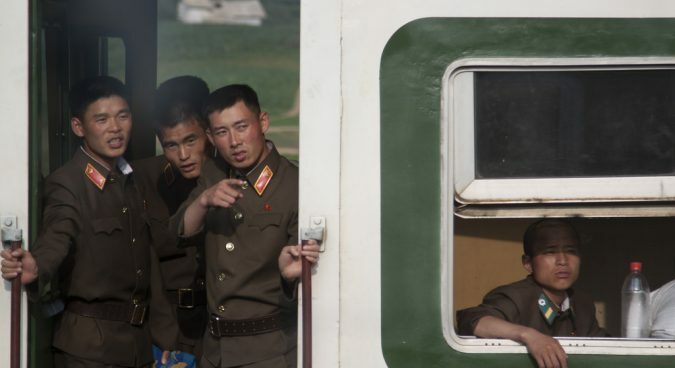 But even among the supporters of this point of view, there are disagreements on whether the North Koreans are going to start acting in this direction immediately, or will consider it as a long-term goal. Nonetheless, supporters of this view tend to look more favorably at a military solution. These people believe that Kim Jong Un, like Hitler in the 1930s, is hell-bent on conquest, driven by irrational ideology and that, therefore, deterrence is not going to work. If this is indeed the case, a preemptive strike makes perfect sense. Another unknown is the actual position of Donald Trump and his inner circle on this matter. While the State Department (predictably) supports negotiations and the Department of Defense (less predictably) is overwhelmingly against resorting to military measures, the position of the White House remains a mystery. 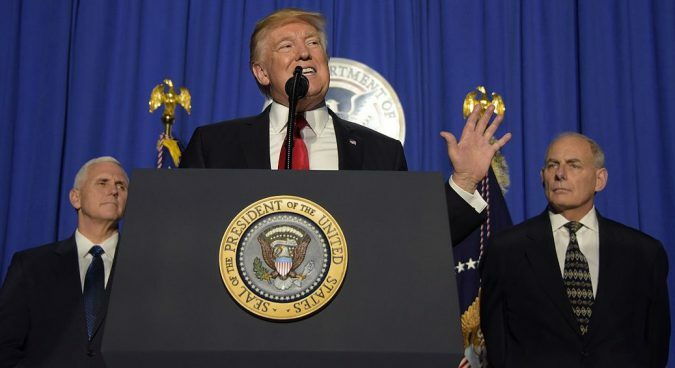 The flow of bellicose and threatening rhetoric emanating from Donald Trump’s White House could indicate that President Trump is one of the few people supporting the military action. If this is indeed the case, it is extremely worrisome. Many of Donald Trump’s opponents (and there is no shortage of opponents in Washington) believe that he is essentially incapable of fully understanding the results of his hasty actions and that, driven by his alleged super-ego, he could plunge the country into a disastrous war with great ease. It is widely believed though, that the top military leadership exercises restraint on President Trump, who is known to be suspicious of the State Department and not to be especially enthusiastic about the intelligence community. The military is perhaps the institution he takes most seriously and, therefore, the generally anti-war position of the military leaders is of great significance. However, there are always doubts as to how efficient these internal restraints can be. Some elements in the U.S. military do not agree with the majority view and believe that military action would be possible. One cannot rule out that one day they will get the President’s attention and will neutralize the more careful approach of the Pentagon majority who, as we have said already, are against any action which is likely to provoke a large scale conflict. However, it is also possible that President Trump shares such concerns – no matter what his numerous critics say. As a businessman, he was known to be a master of bluff and the intimidation of his partners and opponents. Therefore, many suspect that the bellicose rhetoric of the White House is nothing but a diplomatic strategy, aimed at terrifying China into supporting tough sanctions. It is argued that Beijing, in spite of being a status quo power, will exercise great pressure on North Korea if it is persuaded that the alternative to harsh sanctions is a war in Korea. In other words, it is possible that President Trump wants to look bellicose not because he is going to provoke a war, but because he wants to persuade China, and to an extent North Korea, that he is willing to provoke a conflict to extract the necessary concessions from them. Clearly, it is not possible to understand exactly what President Trump is doing right now: is it a show, or is it a real reflection of his thoughts? From where I sit, both explanations look equally possible. One should mention that apart from talk about actions against land targets inside North Korea (an idea very few people endorse), there is also widespread discussion of targeted and partial actions which are less likely to provoke a violent response from North Korean forces. An example of this would be a plan to intercept a North Korean missile mid-air, or to attack a missile on launch pad just before the test. It is understood that such limited action would still provoke retaliation from North Korea, but that response is likely to remain proportional and limited in scale and, therefore, less likely to escalate into a massive military confrontation. Such plans for limited actions, surprisingly, are often supported by people who, generally speaking, support a soft-line approach. The Americans, rightly or wrongly, believe that North Korean leaders have come to assume that no conditions, short of massive attack, will provoke the Americans strike them. If so, the reasoning goes, such an erroneous view of Pyongyang should be shattered. Therefore, limited military action can be seen as a good way to signal to North Koreans that they should not count on the U.S. to turn the other cheek no matter what. This belief is shared, as I have said, even by people with impeccable dovish credentials. Needless to say, such limited actions would also be quite dangerous and might lead to escalation as well. The general picture is inconclusive and unclear. People in Washington are equally uncertain about the actual intentions of both Kim Jong Un and Donald Trump. They don’t quite understand to what extent military action can be undertaken and they are also deeply divided on what should be an accepted cost of a diplomatic compromise. This is an era of uncertainty indeed. Subscribe to read the remaining 1865 words of this article.